Home F.A.Q. Why do software projects can take longer than planned? When you apply for application development services, one of the main intentions is to get a competitive advantage in the market for your product or service. Using custom software you can significantly improve the business processes that your company utilizes. Since the market does not stand still, the faster such software project is finished, the better for you. But the truth is that sometimes clients face the situation when software projects don’t follow the initial plan and take longer than expected. 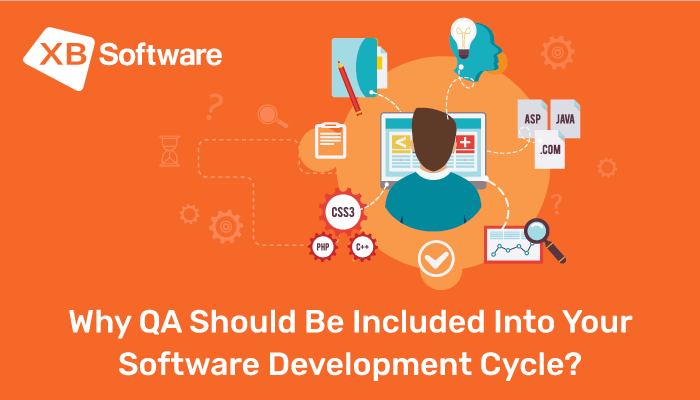 In this article, we’ll consider the most common reasons for delays in software development life cycle and the impact of missing the deadline. Creating a plan that includes an accurate project time estimation is a task that requires deep experience and significant efforts. 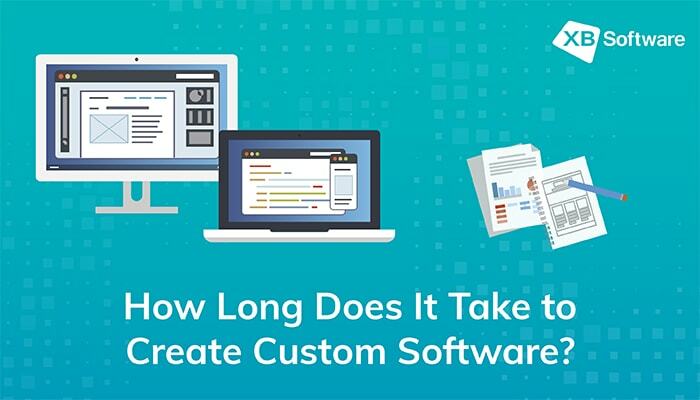 A complex software project can consist of hundreds of interrelated tasks with overlapping dependencies so it may be pretty hard to predict the exact amount of time required for completing the application. The situation can be more complicated in case if all this work is distributed between different development teams. 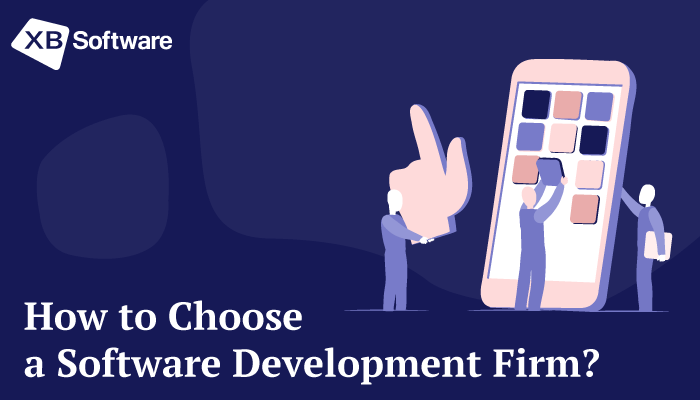 It’s a pretty natural thing that a client can demand to start developing the software project as soon as possible instead of spending time on creating a detailed and scrupulous plan. As you can imagine, such approach might lead to harmful consequences. Real-life projects require including some activities that don’t relate to the development process directly. 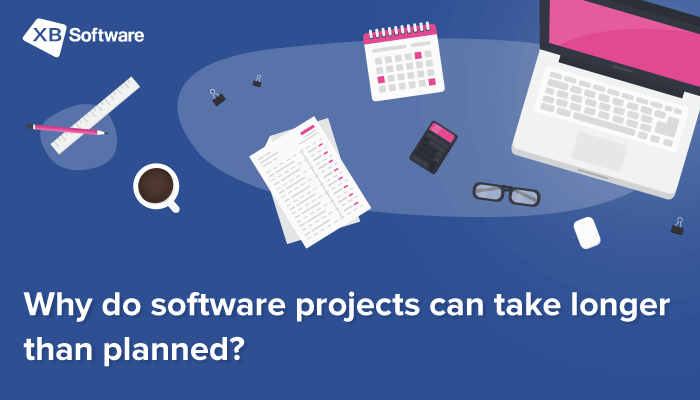 It’s important to remember that ignoring such tasks as environment set-up and test plan creation as well as other small, necessary tasks may become one of the reasons why software project takes longer than planned. Sometimes, a software development company can provide optimistic estimates which makes an offer more attractive. But it’s not necessarily a conscious misrepresentation. The software developer may think that it’s possible to complete all tasks sooner than is realistic. To avoid such situation, an experienced project manager should add a buffer to the project plan to provide some extra time that will be helpful in case of unforeseen difficulties. We have well defined and smooth planning process to develop your project successfully. Get a Free Consultation. Clear software requirements is a foundation stone of a solid project plan. Changing requirements might affect the overall project time significantly. Missing requirements is another issue that should be kept in mind. Project manager can’t discuss these requirements with his team before the beginning of development process since he doesn’t know that they exist. If they appear in the middle of the project, the cost of making changes will be pretty high. The reasons behind missing requirements may vary. For example, a customer might decide that a particular requirement is sufficiently obvious and there’s no need to give it particular attention or simply forget to mention it. Creating the initial plan, a project manager should spend enough time to make sure that software requirements are clear and there’s no room for any ambiguity. Another issue worth of mentioning is an enormously large list of software features to be implemented in the initial version of the app. The smaller the app, the more accurate project time estimation you will get. A big application that implements complex functionality with complicated interactions between the features is a pretty difficult software project to define in detail and estimate accurately. When you plan to add more new features to your app, you increase its complexity, elongate development, and delay the product release. The possible solution that allows avoiding inaccurate estimations is to decide the exact list of features you want to have in your application. Then you can team up with the business analyst to define those of them that are absolutely required for the initial version of the app and add them to the plan. The goal is to find the optimal software solution for your business problems without overloading the app with unnecessary functionality. After the initial version of the app is released, your software vendor can implement additional features as series of updates. It’s a pretty common situation when the member of a software development team decides that it’s time to give his career a boost. As a result, from time to time, a development company faces the situation when one or more team members leave for another job in the middle of a long-term project which harms the plan. A good development team works as a solid mechanism. Losing an important team member during the work on the project may cause significant delays. In case of loss of an important team member, a project manager will have to change the initial plan. Usually, there are two main options: finding a new team member or splitting the tasks between the team members that continue working on the project. Despite the made decision, the overall productivity of the team will be decreased, and the ability to work at the same speed will be lost. Before signing a software development agreement, a client can ask a representative of the company about the contingency plans for staff changes during the project. A big software development company with a sizable development team will be able to absorb the change pretty quickly. Small companies may have partners or contractors who can take part of the work if necessary. Web development is a rapidly growing industry. Dozens of new libraries appear in the market every year. Surprisingly, such state of affairs is not always a good thing. When you apply for custom web application development services you may face some unexpected difficulties. It may happen that used technologies do not work according to the plan. There may be different reasons for such behavior. For example, described occasions are pretty common for those software vendors that use brand new or very old third-party development tools. Sometimes, trying to follow the cutting-edge trends, a software company decides to use the most hyped tool in a way that it wasn’t originally designed. 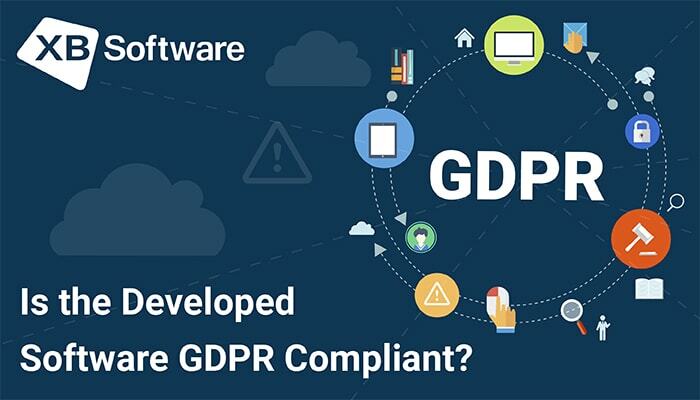 When a software vendor implements a new software development technology, there’s always the possibility that it will be sensitive to the used hardware or operating system. While creating a software development plan, a project manager should highlight every source of uncertainty related to an unknown technology that the development team plans to use. A risk factor and buffer time to absorb possible delays should be taken into account during the planning phase. But it’s important to understand that even tried and well-tested technologies sometimes cause unexpected issues. Therefore, a project manager should ask the development team members about the possible risks related to the technologies used in the project. Together, they can develop a plan that includes protecting measures required for not letting these risks cause any significant delays. Bad communication can be caused by both the software developer and the client. Either way, the project will suffer from delays. The developer may not follow up to questions as quickly as client desires or not provide updates frequently. In case of uncertainty on how a particular feature should be implemented, a developer can ask a customer to clarify the requirements. Answering too slow, a client can cause additional delays. The situation can become even more complicated in case if software developer and customer are located in different time zones. To avoid such issues, a project manager should create a communication plan. It must describe with whom, when, and how you should contact in case if a particular problem arises. All stakeholders should strictly follow this plan. Besides that, each manager should keep all the info related to the software development project in a single place. Such data as the current status of the project, the tasks to be done, and communications related to the project should be easily accessible and organized. There’s no reason to over-complicate the process and put yourself in a situation when you have to dig through tons of emails to find a message that describes a tiny detail of the overall plan. Both the software development company and the client should make sure that the communication process is organized and everyone involved in the project is easily accessible and aware of the current state of the project. In such case, the customer will be able to provide quick feedback if there will be the need for any clarifications. Poor project planning can affect both the software vendor and customer. A software development company that hasn’t delivered an application in time can lose the reputation and the loyalty of its current and future clients. Moreover, negative feedbacks can make it harder to find new customers for your future projects. Thus, underestimation of the planning process can lead to some long-term consequences that will be hard to overcome. 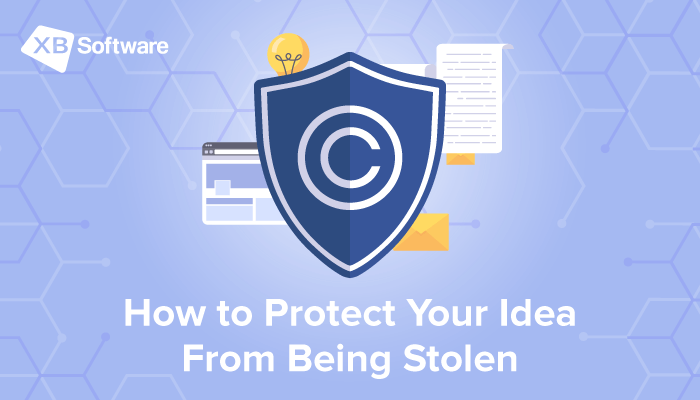 As a client, in case of missing deadlines, you risk of losing a competitive advantage due to obsolescence of a software idea that you’re going to implement. To avoid the described situations, all stakeholders should spend enough time on scrupulous planning. 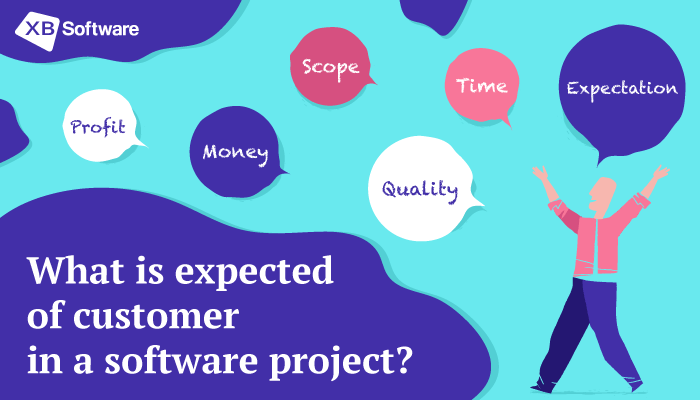 Since delays affect every side involved in the project, one of the main intentions at the first stages is to make sure that there are no unclear requirements or misunderstanding between the customer and developer. To keep the product development under control, you must split it into substantial parts which are well described and estimated. Make sure that each stage has a low amount of risks and no uncertainties. There’s another important issue that should be kept in mind. You can face the situation when some stakeholders lose their focus during the project execution. It may lead to loss of the project or product artifacts which may result in missed deadlines.